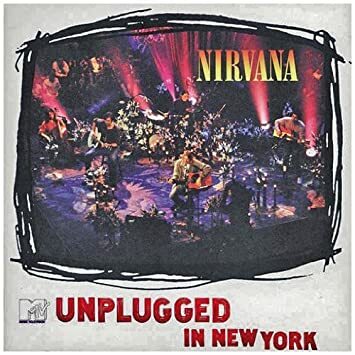 This month's Album Club choice come courtesy of Oliver (Bigman80) with Nirvana's 'Unplugged'. As always please listen to the album in its entirety before you comment and/or vote. I've spent 20 years with this album. I first heard it on a school trip to Germany in 1997. From that day to this I still love it. There's an eerie intimacy to this recording, dark but involving. It's very rare any singer would allow his vocals to be so exposed, no auto tune or redubbing of this album. Its just a raw performance. For me, side two is where all the magic happens, a group riding high in the charts, selling out venues worldwide and a lead singer/songwriter battling the effects of drug abuse and a manipulative wife all seem to be portrayed as "therapy" into a haunting cacophany of emotive music. Winter seems to draw me to this album, lights lowered, fire on and it just me and Kurt Cobain, displaying his anguish beautifully. Have a listen, rate it and enjoy.........hopefully! Had this on vinyl for a few years now and enjoy each time it is played. Though I should spin it more often than I actually do. I agree with your summary of the band and music. Fantastic album. I am a couple of years older than you, Oliver, but it takes me back to a similar time. I'm glad it's transporting you back in time as it does me. A great excuse to have another listen to it. Thanks for the suggestion, I do like live albums. I have never listened to a Nirvana album, so a first for me. Must be something to do with my age and life moving fast when having a young family during that period. Sorry not quite my 'cup of tea'. I would say that I found it all a bit of the same, and I didn't really like the singer's voice. But the complaint of it all sounding the same could be levelled at many of my musical tastes. I guess Nirvana is not my era. However I'll score it 7/10 as I did like a few tracks. Fair enough! It won't be for everyone. Still gets a regular at I'm my house.